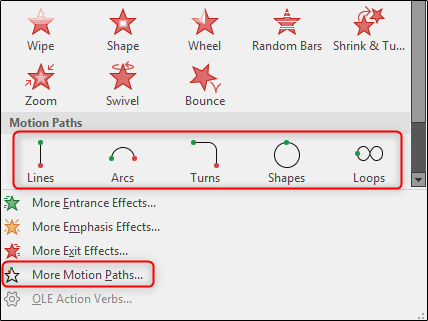 You can assign multiple motion paths to a single object in PowerPoint. However, if you do not combine them, the object returns to its original position before you perform the next animation. Combine the motion paths for a smooth, seamless transition. As you can see, the motion path goes from A> B, then A> C, to the intended A> B> C. Of course we did not want that. The fix is ​​as simple as clicking and dragging, but before we combine motion paths, you must first assign the animations to our object. First, select the object to which you want to assign multiple motion paths. Next, go to the Animations tab and click the Add Animation button. A menu will display a large library of animations. Scroll all the way down to find the Motion Paths group. If you find the one you want to use here, that's great! If not, you can select "More Motion Paths" to search many more. In this example we will continue and click on it. 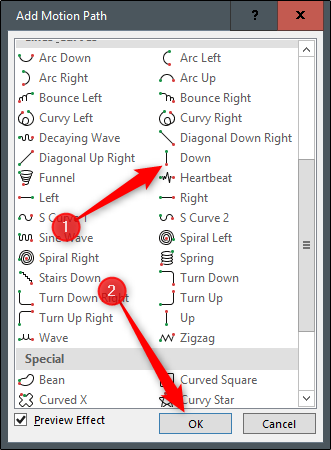 In this example, we use the option "Bounce Left", which under "Group" Lines_Curves ". After the selection click on" OK ". You may find that the path is not exactly where you want it to be. To position the path, just grab the box and drag. 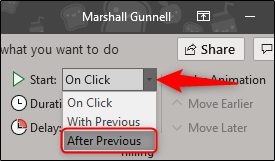 Now go to the "Animations" tab, select the arrow next to "Start" to display the menu, then select "After Previous." 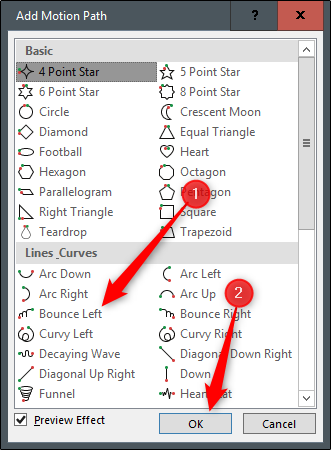 Repeat the previous steps to add the second motion path, this time adding "Down," which you can also find in the Lines_Curves group. Well Since our motion paths are assigned, we have to select that second movement path and drag the green arrow over the red arrow of the first one. Then drag the red dot of the second motion path to the final destination of the animation. 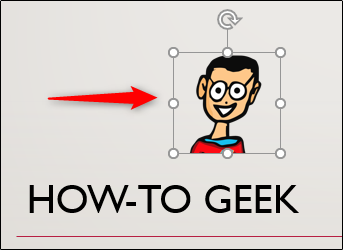 When you're done, preview the slideshow to make sure it's working properly. To quickly display the presentation from the current slide, press Shift + F5. Otherwise, go to the Slide Show tab and choose either "From Beginning" or "From Current Slide," depending on what you prefer. You now have successful motion paths to a seamless, seamless animation combined.